Subject : Get a quote for Product lead "Automatic Cup Cake Production Line"
The Auto Cake Production Line serves for the purpose of filling the sandwich part of yolk pies as well as producing other cakes: European-style cakes, cup cakes and the styles of cakes of various sizes. 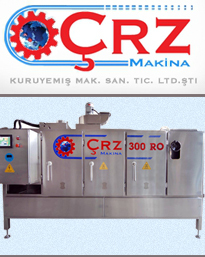 The line can be set at the range of 10g-100g at the customer’s request.This machine adopts computer programming with a compact structure, concentric function and accuracy. The system is widely welcome amongst food producers.